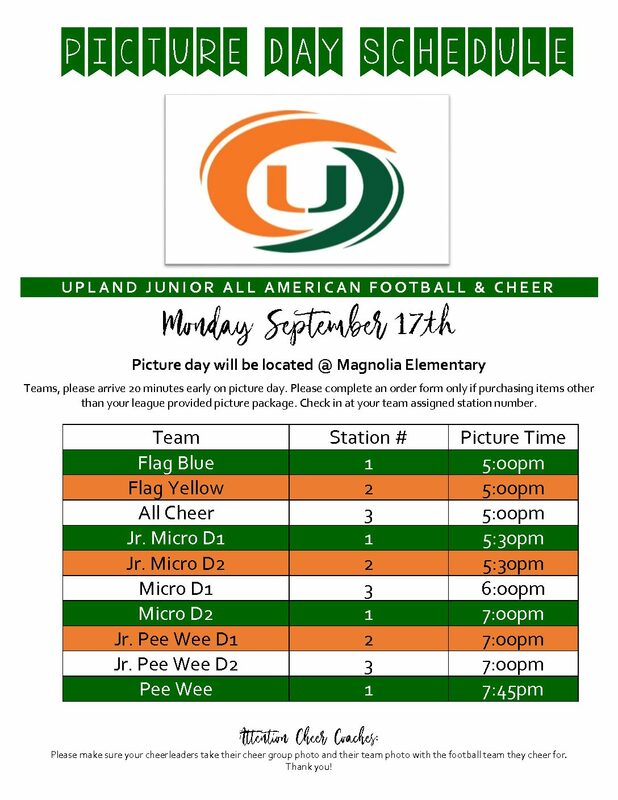 The mission of the Upland Hurricanes Jr. All-American Football (Upland JAAF) organization is to provide the youth of our community with an opportunity to develop athletic skills, sportsmanship, respect, teamwork, and leadership through participation in football and cheerleading. It is the goal of Upland JAAF to develop young men and woman who participate in the program to excel on and off the football field. We believe in implementing core character values and high self esteem in each athlete. We want to see each athlete achieve their goals and we are committed to helping young people in their journey to high school, collegiate, professional and personal greatness. We require all football players and cheerleaders to maintain excellent academic standards and classroom behavior. We encourage all participants and their families to support our community by attending community events and to always display our Upland Hurricanes pride. We are committed to building physical and mental strength and above all strength of character that will empower them and those around them throughout the duration of their lives. Upland Hurricanes is committed to serving our community. We are a 501(c)3 non-profit corporation dedicated to bringing the benefits of organized football and cheer to the youth of our community. We are recognized by Upland High School and Varsity Head Coach Salter as the premier football program in the city. We are committed to provide your athletes with the tools and instruction needed to be successful through knowledgeable youth coaches who are trained in the concepts of the successful Upland High School football program. We feel this level of coaching will better prepare your youth to advance to the next level of the game. We provide opportunities for youth ages 4 to 14 to participate in organized flag and tackle football as well as competitive cheerleading (Conference and SHARP). Our organization is run entirely by volunteers, most of whom have children in our football and cheer programs. Most importantly, our league is centered on the importance and need for legitimacy, transparency, and accountability in all youth sports programs. These basic principles embody the core of our framework, and serve as the building blocks to our organization’s future success. We encourage participation and feedback from everyone, and hope that you will join the our program. Last season, we fielded 11 football teams with over 230 players. We offer flag football for youth ages 4-6 to introduce them to the game of football. Our tackle program play regulation tackle football in full football gear for ages 7-14. In addition, we had more than 30 cheerleaders and mascots which support our flag and tackle program. The Hurricanes and 28 sister organizations located in the Inland Empire are members of the Southern California Junior All-American Football (SCJAAF), another non-profit corporation. 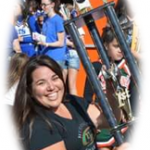 SCJAAF acts as the governing and coordinating body for all of our football and cheer programs. The sister organizations include: Alta Loma Warriors, Apple Valley Rebels, Banning Broncos, Beaumont Cougars, Chino Hills Bulldogs, Colton Yellow Jackets, Corona Chargers, Desert Hot Springs Eagles, Eastvale Stallions, Elsinore Valley Thunder, Fontana Trojans, Hemet Hawks, Hesperia Trojans, High Desert Storm, Menifee Wildcats, Moreno Valley Falcons, Murrieta Broncos, Norco Cougars, Orangecrest Wolves, Palm Desert/ La Quinta Roadrunners, Palm Springs/ Cathedral City, Perris Valley Panthers, Rialto Panthers, Riverside Rams, San Diego Generals, Temecula Saints, Yucaipa T-Birds.